A Sanctuary Care home in Shiregreen unveiled a special place for their residents this week, with the help of local singing sensation. The team and residents from Park View Residential Care Home on Sicey Avenue welcomed special guests, friends and family for the grand opening of their new sensory room. Guests included Shiregreen Councillors Dawn Dale and Garry Weatherall, and Britain’s Got Talent finalist and local star, 16-year-old Kyle Tomlinson who declared the room officially open at the ribbon cutting ceremony. 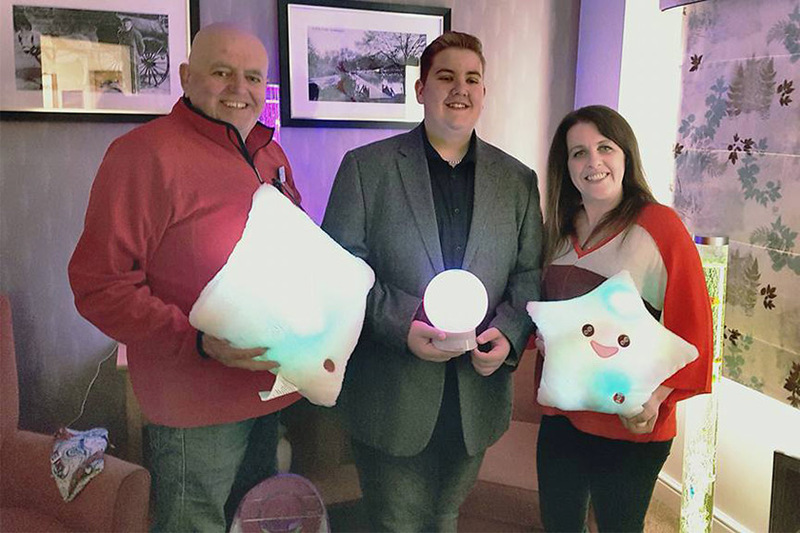 Decked with bubble lamps, wind chimes, special lighting and much more, the new sensory room will be highly beneficial to all of the home’s residents, particularly those living with dementia. Speaking about the ribbon cutting ceremony, Kyle said: “I really enjoyed my afternoon, meeting all of the staff, residents and their families at Park View – there was a wonderful atmosphere. There were also scrumptious cream teas to enjoy, complete with fresh homemade cakes and scones. Home manager Andrea Stenton added: “We are so thrilled that our sensory room is now open and can begin to benefit our residents.